Author Amanda Downum’s Necromancer Chronicles (The Drowning City, The Bone Palace, and Kingdoms of the Dust), and her numerous short stories explore dark and, sometimes, damp corners of fantasy, all while enveloping her readers in a cloud of vivid taste and smell. Amanda Downum is a cook of the unusual, you see… including several particular dishes she discusses while visiting Cooking the Books. 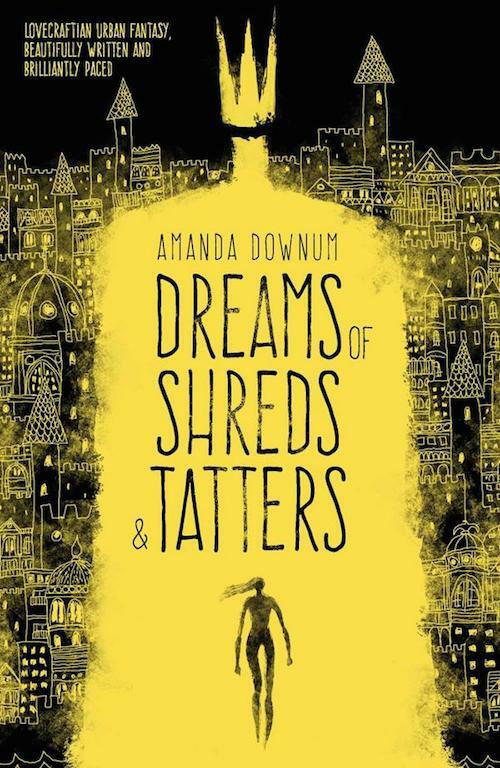 As importantly as those dishes, her latest novel, Dreams of Shreds and Tatters, is out this week, and early reviews are very positive. Amanda discusses with us some of the hidden secrets of Dreams, along with facts about the characters hidden because they are too busy running for their lives. So have a seat, steady your heart, and join us for the latest Cooking the Books, with Amanda Downum! With thanks as always to fellow chefs John DeNardo, Paul Weimer, Kristin Centorcelli and everyone at SFSignal. We’ve made them chefs this month because nothing else would distract them from the gruesome sink… still scrubbing, but heartblood is tough to clean. Nothing to see here! Oh look, shiny Cooking the Books podcast below! Leave your questions here after the podcast and we’ll be sure Amanda gets them. My partner and I have developed a few traditions in just over a year. One is hearts for our anniversary, and another is goat on Lupercalia. My first and favorite thing to do with goat is khoresh bademjan. I use Turmeric & Saffron’s excellent recipe, but with goat instead of beef or lamb. If your butcher or carneceria gives you goat with bones attached, as mine does, I strongly counsel you to remove them before cooking. I lost a crown to a piece of goat once, and that is the stuff of nightmares forever. Amanda Downum lives in Austin, Texas. 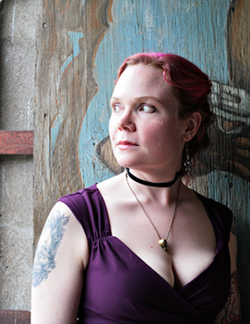 She is the author of The Necromancer Chronicles, published by Orbit Books, and Dreams of Shreds & Tatters, from Solaris. Her short fiction has appeared in Strange Horizons, Realms of Fantasy, and Weird Tales. She is not a cannibal. She promises. You can find her at amandadownum.com and on twitter. Hungry for More? Check out the Cooking the Books Archives.